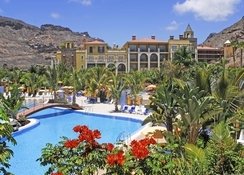 Looking for a half-board or full-board accommodation in Gran Canaria? The Hotel Cordial Mogan Playa is a great choice. Ideal for families, couples, large groups of friends and solo travellers, it features rooms and suites, restaurants and bars, and a wide range of indoor, outdoor and waters ports activities in and off the complex. Get yourself pampered at the hotel’s on-site spa, where expert masseurs will provide you nice massages and beauty treatments from head to toe. When the parents are busy in the spa, children can have unlimited fun in the children’s playground under the supervision of the hotel’s staff members. The Gran Canaria Airport is about 37 minutes’ drive from the hotel. 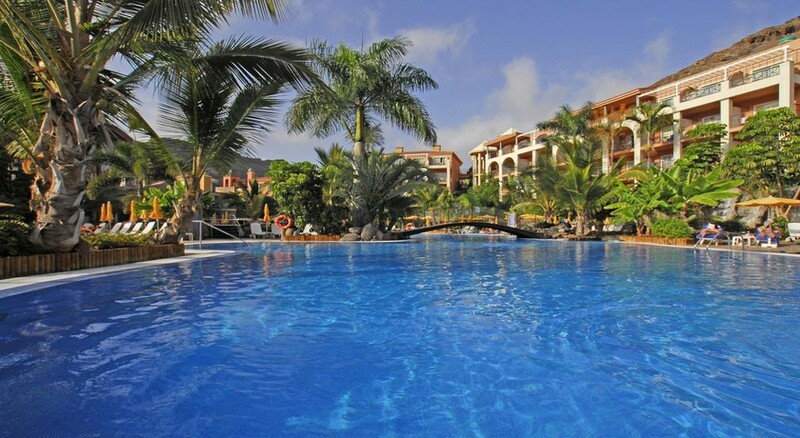 Located in Puerto de Morgan, Gran Canaria, the Hotel Cordial Mogan Playa is a four-star property. The hotel exhibits traditional Canarian style architectural buildings and design, offering guests a very rich ambiance. And built within a botanical garden that covers 48,000 square metres, the look and feel of the hotel is majestic. The harbour and the beach are 200 metres from the hotel, and if you walk a little further there are tons of restaurants, shops, bars and cafes. The Gran Canaria Airport is about 52.6 km away from the hotel. The rooms in the Hotel Cordial Mogan Playa come in seven categories that include Double Room, Single Room, Superior Room, Honeymoon Room, Family Room, Junior Suite and Senior Suite. Guestrooms are modern and spacious, furnished with TV with satellite, private bathroom, hairdryer, bath amenities, air conditioning, safe deposit, mini fridge and Wi-Fi internet — suites come with more amenities. Also, each room come with a furnished private balcony that offers a remarkable view of the surrounding. The hotel houses Los Guayres Restaurant, which is an a la carte restaurant that serves Canarian cuisine and traditional recipes — it opens only between Tuesday and Saturday and offers only 15 tables. The fresh and light dishes served by the restaurant can be enjoyed on the roof top while taking a glimpse at the Mogan Mountains and the hotel’s lake. This ultimately makes it one of the most memorable gastronomic trip. Alongside food, you can also enjoy wide ranging wines that include sparkling, pink wine, white wine, red wine, wines of the world and special wine. The Hotel Cordial Mogan Playa features two heated swimming pools (one of them is family pool), with complimentary loungers, parasols and whirlpools. You can engage in various activities around the pool such as yoga and water aerobics. It also features tennis courts, squash courts, bowling alley, giant chess boards, gym, reading areas, daytime activities centre, evening entertainment sections, mini club, internet corner and bike rental. The travel desk organised scuba diving, dolphin and whale watching, shopping trips and excavation to archaeological sites. And to pumper yourself, you can head to the spa and try neck jets, bucket shower, ice spring, pool Jacuzzi, underwater jets, head waterfall, exterior solarium, Finnish sauna, steam room, sensation shower, and tons of massages. *** Some room amenities are locally payable. *** Reservation is required in Los Guayres restaurant. Booked on advice from a friend and I am glad I took his advice.